The rumors were true after all. For several years, we have been hearing that the United States was about to create a military command structure for Africa. On February 6, President Bush announced that US Africa Command (Africom) would become a reality. 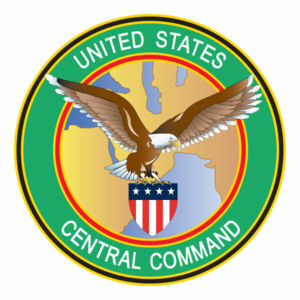 Up until then, the northeastern part of Africa had been covered by Centcom, which includes the Middle East and Central Asia. The rest of Africa, except for Madagascar (Pacific Command), was under the European Command. Now, all of Africa, except Egypt (which will remain with the Middle East under Centcom), will be under the new USAfricom. By September 30, 2008, they expect to have the structure in place, first in Stuttgart, Germany and eventually on the continent of Africa, in a site yet to be determined. At present, the United States has approximately 1500 military personnel stationed in Djibouti. They are already performing the kind of work that is envisioned for the Africom. The recent bombings of ‘terrorist’ hideouts in Somalia were carried out by this Djibouti-based force. The same soldiers have also participated in humanitarian missions in the region. Why a command such as this? It’s not terribly difficult to guess, but then we don’t even have to. The very clearly stated reasons are three. First, there is a concern that terrorist groups are making inroads in Africa, that they benefit from unstable states with remote hiding places. Secondly, Africa’s mineral riches, particularly her oil (by 2015, 25% of oil for the US will come from Africa) make her strategically important. Finally, the creeping presence of the Chinese and the Indians present a challenge to what appears to be imperial ambitions of the United States. Africom has been referred to by “Stars and Stripes” newspaper as the ‘first of its kind,’ in that “it will include diplomatic, developmental and economic staffers… from the start.” The second in command of Africom will be from the Department of State. No other military command has this mix of the Departments of State and Defense. Secretary of Defense Bob Gates said, in testifying to Congress, that Africo m’s job will be to “focus on security cooperation, building partnerships, supporting non-military missions and, if directed, military operations on the African continent.” The new command will focus on preventing crises rather than fighting wars. Troops specializing in missions such as construction and medical care would be going to the continent on a rotational basis. Chester Crocker, of the US Institute for Peace (and infamous from his dealings with Liberia and Eritrea in the 1980s), rejects the idea that the US approach to Africa has become militarized. And yet, that is in large part what concerns some Africans who have begun to comment on this dubious gift that is being handed to them. Newspapers in South Africa and Kenya have acknowledged the very real economic benefits that can come from having Africom on the continent. However, they ask, at what expense or at whose expense? From experiences in Asia and South America, it is clear what the social consequences can be of having a large number of military forces, foreign or other, in one place. Prostitution is only one of them. Nor should the political consequences be negated. One of the jobs of Africom will be to train African soldiers and to help build up the military in many African countries. The danger in this could be the tendency to resort to the use of force for resolving conflicts. Is that what Africa needs as she continues to transition to democratic forms of government, negotiating complicated ethnic and party-affiliated interests? While helping with training may seem like a lofty enterprise, it is well-known that American-trained foreign soldiers (School of the Americas) can violate human rights with the best of them. Kenya, which is seen as one of the leading candidates for eventually hosting the command, knows what kind of friend in need the United States can be. Any country that accepts to host Africom will undoubtedly become a target of terrorists or those who are opposed to the United States, as happened in Nairobi and Dar es Salaam in 1998. Even after suffering with the Americans, Kenyans were barely compensated for their injuries and losses. Later, military aid was even withheld from Kenya when it refused to sign an agreement with the US preventing US citizens from being tried by the International Criminal Court. One might ask why the United States needs boots on the ground to take the pulse of the continent and to be ready to act, if need be? What are the US embassies for? Should ‘pulse taking’ not rather be the work of diplomats? And wasn’t development support and other humanitarian assistance the work of the Peace Corps and US AID? In the past, activists hoped that the US military would come to the aid of innocent Liberians, Rwandans, Congolese and others who were being preyed upon by armed groups. The US was rarely ready to stand up militarily, except in the case of Somalia and only very belatedly in Liberia. Using the logistical support and the force of the US military could be beneficial in certain desperate situations, but is it not dangerous to have soldiers on hand on a permanent basis? The experience of Central America should make Church people shudder. AFJN would like to hear reactions from members in Africa and in the United States. There is a need for vigilance as this new chapter in American military engagement marches forward on the continent of Africa.